YouTube founders Chad Hurley and Steve Chen have been revealed as the new owners of bookmarking site Delicious, after Yahoo sold it to the web billionaires for an undisclosed sum. Back in December it was reported that Delicious would be killed off by Yahoo, with the company streamlining its online services. But it seems that it has been saved from the scrapheap and will get something of a refresh from its new owners. "We're excited to work with this fantastic community and take Delicious to the next level," said Chad Hurley, who is now CEO of AVOS. "We see a tremendous opportunity to simplify the way users save and share content they discover anywhere on the web." Yahoo seemed to be pretty choosy about who it sold Delicious to as there were a number of people interested in purchasing the bookmarking site. John Matheny, SVP of Communications and Communities at Yahoo, said of the news: "We spoke with numerous parties interested in acquiring the site, and chose Chad and Steve based on their passion and unique vision for Delicious." 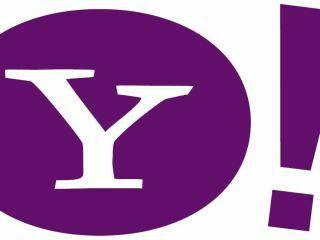 Yahoo acquired Delicious in 2005, but the site has been around since 2003. Hurley and Chen sold YouTube for $1.65 billion back in 2006 and have been swimming in a pool of their own money ever since. Probably.